Social stories are largely recommended by professionals to explain situations or repercussions to people with Autism who may be upset or unable to cope with a change to routine or plan. 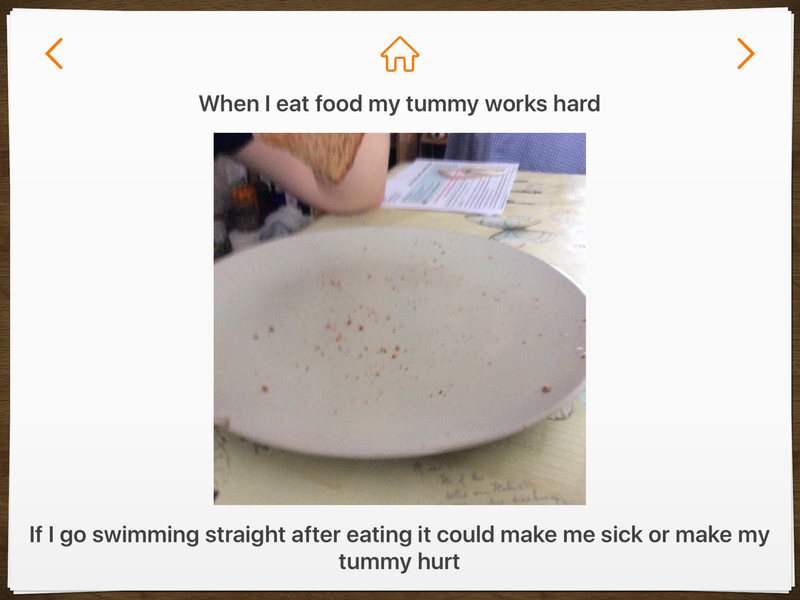 At TeamDylan we’ve never been a fan of the idea of social stories and Dylan has always seemed to understand that there are frequent changes to plans in real life. He maybe unhappy with that but that’s just life right? 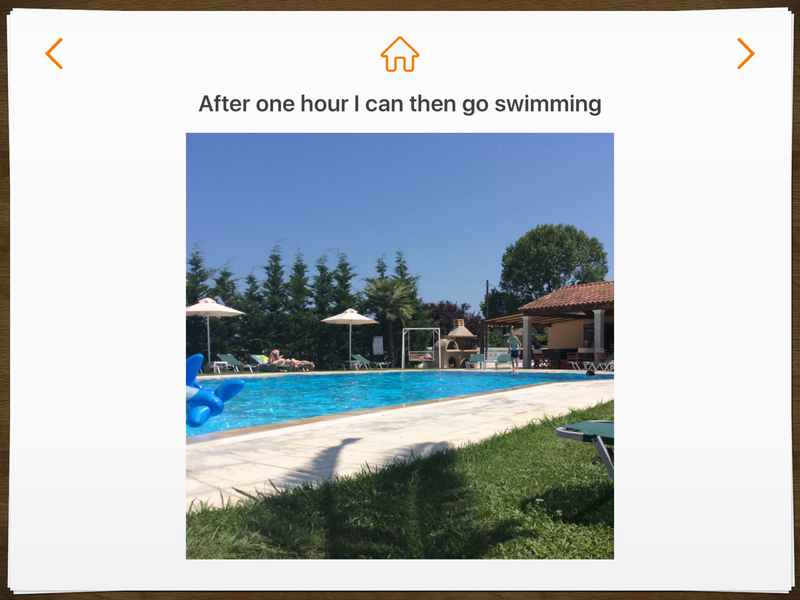 Anyway to try and keep things as calm as possible while on holiday I made a social story about swimming. Dylan is nervous of the pool at the beginning but once in it he loves it and often struggles with the idea of the pool being there but not always being allowed in it, especially right after eating. 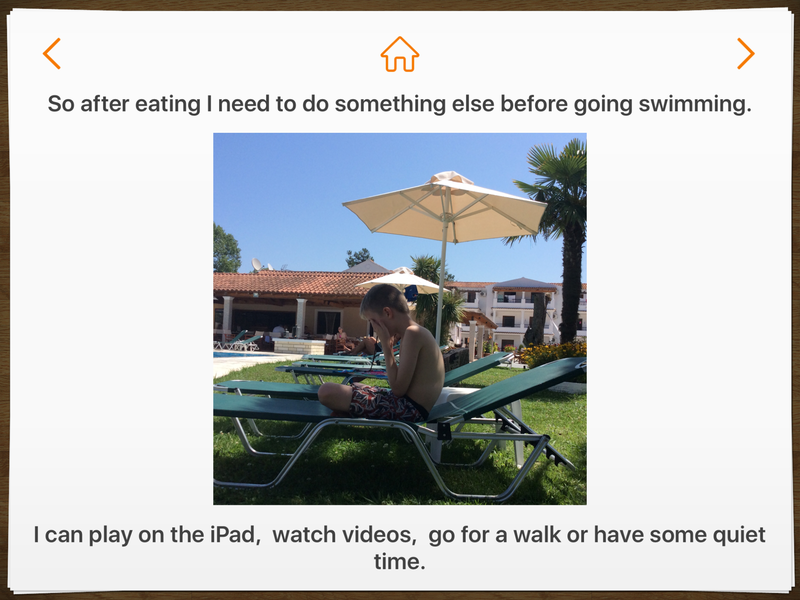 To do this we used Pictello; an app which you can add photos, voices and text which can suit the story you are making. This story took about 4 minutes to put together.